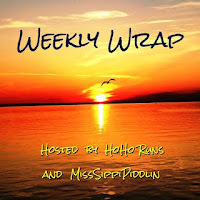 This episode of Runfessions is a big one - the end of the week and the end of the year. It feels like 2016 has been a bit of a wild ride for many people, and it certainly has for me, too. However, I have had some wonderful experiences and great things happen as well. I'm okay to allow 2016 to slip into the past with big hopes for 2017. With that, let's enter the Runfessional! Cheers to 2016 and welcome 2017! 1. I runfess that I have become a bit of a high maintenance runner when it comes to the weather. In normal life, I HATE being cold (seriously, like despise). That makes things tough for my runner self because I have come to accept that I am so much better in cooler temps. Christmas day brought 70 degrees and sun here in Nashville. I was excited to head out and run in a tank top and shorts ... and shortly into it felt miserable in the "heat." Where has the tough runner inside me gone? Ice Marathon - I'm not this tough either. 2. I runfess that I've been feeling a little weird about my upcoming Boston Marathon. I am so excited and honored and glad to be having the opportunity to be part of such a historic event. Yet, I can't help feel a little like I don't belong. I didn't qualify (and most likely never would), so does that make me a less legitimate runner? 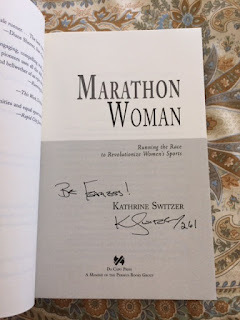 It definitely won't be my first or last marathon and I'll be running the same 26.2 miles as everyone else that day (with Katherine Switzer and for an amazing charity), so hopefully I'll be able to "get over it." 3. I runfess that over the holidays my eating has gotten better, but my sleeping habits have gotten worse. I'm a night owl by nature, so given the opportunity, my bedtimes and wakeups creep toward teenage levels. I'm dreading having to get back onto a more normal schedule, but if I don't it will impact my morning runs (not an option - did I mention I'm back in marathon training?). 4. I runfess that I am nearly out of room for new medals on my existing medal racks in my treadmill room - what one friend of mine calls my "I love me" room because of all the medals. I runfess that I am proud of my medals and do not feel one bit guilty about it! 5. I runfess that I miss my running buddies. I've been doing a lot of solo running lately, but get so much energy and have so much more fun running with other people. Hopefully in 2017 I'll get back to finding some buds to hit the paths with again soon! I'm linking up with some of my favorite ladies - Marcia's Healthy Slice for Runfessions and Fairytales and Fitness and Running on Happy for the Friday Five 2.0. Warning: we are about to get a little closer. Being running friends means we can talk about things that you normally wouldn't with non-running people. So if you're not comfortable with that, you may want to stop reading. Like right now. This is your last chance to exit this post ... okay you've now been warned. Today, my dad sent me an email that was one of those, "hey maybe you should look at this" emails. You know, one of those gentle pushes that only a parent or close friend can make. 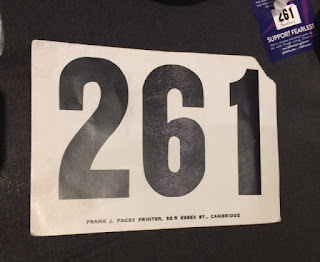 Because it was a really useful article, I wanted to share it, but to do that I also have to fess up to something: for nearly the entire 26.2 miles of the New York City Marathon, I felt like I was about to poop my pants. To be clear, I did not actually poop my pants, but the situation was pretty critical for a while! 1. I get really nervous before marathons. Stress can release hormones that can slow or even stop your digestive processes (this definitely happened to me). Once the race starts though, the nerves subside because you don't have the time or energy to worry, which can then restart your digestive process at the most inopportune time. 2. Though I had experimented with energy chews on an 18 miler before the race (without issue), the majority of my training was done without. It's possible this could have wreaked havoc on my digestive tract the day of the race. Wouldn't know there were any issues by these smiles! 1. Eat lower fiber foods the day before a big run/race. 2. Do a little warm-up run to "get things moving" with time to hit the port-a-potties before hitting your start corral. 3. Adjust your carb/sugar/hydration plan for race day. Being under-hydrated or too much carb/sugar mix could cause problems. So if you have belly issues, don't worry you're not alone! There are lots of different things to try. And worst case, you wouldn't be the first person to poop your pants while running - Grete Waitz famously had diarrhea, kept running despite millions of people watching, and still won the New York City Marathon. Maybe Grete Waitz was with me in spirit that day ... I just wish she had picked a different way to make her presence known. Have you ever had stomach problems during a big race? What are some of your biggest lessons learned? This weekend was a milestone for me - it was my 45th Half Marathon, but it was also a weekend with my runner mama who was in town. This was our second Panattoni Mt. Juliet Holiday Half Marathon (Mt. Juliet is the town just east of Nashville), and I will preface this by saying that I really love small, local races. There is no way that a race like this is even comparable to a bit city/big event race, so you have to appreciate it for what it is (which is sweet and home town-y). As soon as my mom got in, we hit the "expo." Okay, so "expo" might not be the right word - it was in the gym of the local middle school, but it was efficient - we were in and out of there in a few minutes. And along with our long sleeve race shirts, we did get free ornaments and jingle bells for our shoes! Race morning came with lots of sunshine and cold temps! Thankfully, the start time was pushed back to 10:45 AM, but it was still only 31 degrees when we lined up. Winter came suddenly to our little piece of Tennessee (and my mom was traveling in from southern Arizona), so we had a lot of talk about exactly how many layers we would need! Because this is such a small race (500 runners between the half marathon and 5k), we were able to huddle in the middle school and use indoor bathrooms before the race began. Alright, so let's play a little game - anyone notice what's missing in this picture? Maybe in the wrist area? Yep, that's right. I left my shiny new Garmin at home. Thankfully, my mom brought hers and we were running together, but makes me crazy to forget things. This race kicks off the annual holiday parade - think pickup trucks pulling trailers full of kids and decorations and music and candy (told you, sweet and home town-y). It was cold, but we got a nice bright day with minimal wind. We were also excited to try out the new course, which we were told we would enjoy because it wasn't as hilly. Without much fanfare (no fireworks), just the national anthem and someone yelling "go," we were off! The race starts down Mt. Juliet's main road and there were spectators waiting for the parade (when we passed they must have thought it was the worst parade ever). The majority of this race is on roads still open to traffic, so runners do have to be a bit careful. Though not entirely flat (this is Tennessee after all), the course was less hilly than last year. Personally, I liked last year's course better because, though tougher, I thought it was prettier. My mom and I both carried fuel, but there were several aid stations with water/power aid and gels/chews. They also had awesome volunteers who worked really hard running out to meet the runners with cups in hand. We had a great time, but were happy to see the finish line (back at the middle school) and collect our medals. This wasn't even close to a PR for either of us, but we had a great time running together (always do). And even more exciting, my mom placed second in her age group! Run This Race If: You're going to be in the Nashville area around this time of year and love small, local races (or if you're looking for a run to get you in the holiday spirit). Good possibility to win age group awards and they gave out great prizes for winners! Course: Loop route, all on roads, most open to traffic. Not flat, but not the most challenging Nashville race either. Consider bringing some additional hydration/fuel to supplement what is provided at the aid stations. What Makes It Unique: Kicks off the town's annual holiday parade, so more spectators and high fives than you might see at a typical small, local race. Lots of local charm. Date and Time: Saturday in early December. Half Marathon started this year at 10:45 and the 5k started at 10:55. Would I Do It Again: Sure would and hopefully my mom will be coming back to join me! Happy Medals Monday! Alright Disney Princess fans, we got a big reveal this morning! RunDisney gave us ALL of the medals to be earned during the upcoming Princess Half Marathon Weekend, which will be the 9th anniversary. Okay so here we go! As was previously suspected and confirmed, it's going to be a Beauty and the Beast themed weekend. With the release of the 25th anniversary animated film this year and the much-anticipated live action version, this was not a huge surprise. What may come as a surprise is some of the BIG changes to these medals. Let's go through them! Since Lumiere got his own challenge this year (part of the Wine and Dine Half Marathon Weekend), Cogsworth gets his own kids races and accompanying medals. These medals are still rubber and colorful to keep the small ones safe. Mrs. Potts and Chip take center stage on the 5k medal. This will be the first "metal" medal for the Princess weekend since runDisney announced earlier this year that all 5k medals would move away from the rubber design. You can really see the bright, themed ribbon on this one. The 10k medal starts to be all about the Princess of honor this race weekend - Belle. Not only does her silhouette, with legendary magical rose) appear on the medal, she also graces the ribbon. While the general 10k medal style is consistent with years past, the ribbons have never featured the princess' images. And now for the big one - the Half Marathon. When I first saw this, I was shocked. Typically, the half marathon medals have been subtly themed with a more general princess feel. This one is all out Belle with the magical rose as the point of focus. Gone are the crystals and tiaras, instead we get enamel and a new shape. The Glass Slipper Challenge (you earn this for running the 10k and the half marathon distances) is also getting an update. It's been converted into a spinner for 2017 and will feature the famous glass slipper on one side, with a fresh Glass Slipper Challenge design on the other side. To be honest, I'm not sure what I think right now. First reaction is that I love the 5k and 10k designs. I'm okay with the spinning Glass Slipper Challenge medal, though find it unnecessary. I'm really conflicted about the Half Marathon. I loved the elegance and not overly themed design of previous years. This is all Beauty and the Beast, no doubt about it and that unique identity is likely what runDisney was going for here. So what do you think - do you love them, like them, hate them? 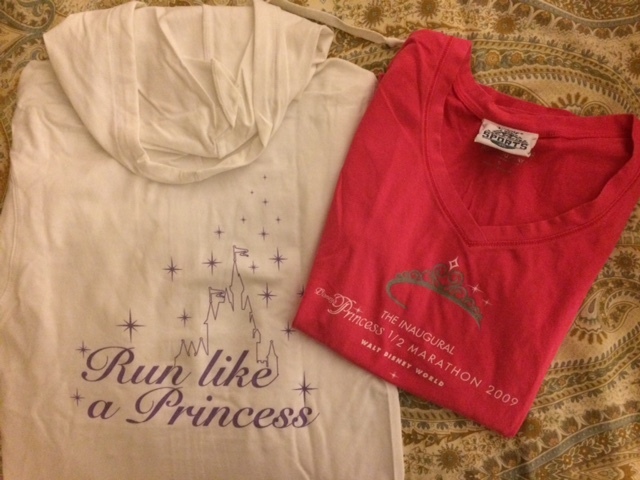 Are you running any of the 2017 Princess races? Another week of 2016 gone - they seem to be going faster and faster! Nothing significant to report, got my runs in and continuing to feel better and more recovered post marathon. I've actually been feeling pretty strong on my long runs, which has been pleasantly surprising since I've been running on the harder (i.e. hilly) path. So something happened yesterday during my long run that caused me to reflect for the rest of the run, and I thought I would put it out there as a "what would you do." Okay, so here it goes. Part of the path is mixed use, meaning cards can drive on it (though I've never seen one until yesterday). A guy I don't know flagged me down. So what would you do? Would you stop and see what he needed or would you keep running? On the one hand, I was on a long run (not trying to nail a particular pace), am naturally gregarious and nurturing, and want people to have good opinions of runners. On the other hand, I was alone, there was no one in sight, and the world can be a crazy place. Without thinking much, I stopped and provided the lost guy directions. Nothing bad happened and I got in a great 8 mile run, but it really made me stop and consider if I was right or if didn't follow the "stranger danger" law ingrained in me as a child. So what would you have done? 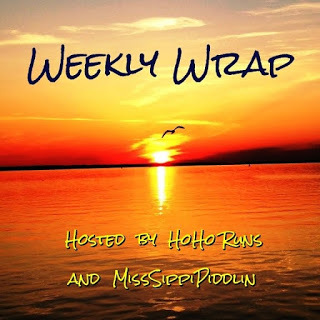 This week I'm linking up with HoHo Runs and MissSippiPiddlin, fresh from their great time at the Panama City Beach Half Marathon! What do you do to stay safe on runs? In the spirit of gift idea lists and the insane shopping spree I went on last weekend (and because it's the theme this week), I'm bringing you the 5 things I would buy all over again. After more than 10 years running, I've tried a TON of things, but if I'm going to limit myself for the purposes of this post, there are certainly a few tried and true standouts, the things you look back on and say "that was worth every single penny." So here we go! 1. No question, an investment in a good pair of running shoes fitted properly based on how I ran. Now, these shoes have changed over the years, but every runner needs them whether they are just beginning or grizzled veterans. Some day soon I'm going to write a full review of my On experience because there is a reason I call them my "magic" shoes. I bought them at a runDisney expo, wore them straight out of the box into a back-to-back 10k and half marathon, and haven't looked back. 2. I generally carry a lot of stuff when I run. What can I say, I like to be prepared. The problem is, when you want to carry stuff when you run, you have to have a WAY to carry that stuff. And when you run, things tend to bounce. When you stuff bounces, it's really annoying and distracting. I've tried a few systems, but my favorite is my Flip Belt. It's secure (you choose your size), doesn't move, and holds all kinds of things that you can stuff all the way around the belt, not just one compartment. I did buy one and I actually bought a second one in a different color! 3. Over the years I've struggled with fueling and hydration, including how to carry it. My closet is practically a graveyard for discarded hydration systems. The one I keep returning to though is my Camelbak handheld. It's a great size (can usually get me up to 10 miles unless it's crazy hot), has a nice loop for your hand to prevent fatigue carrying it (adjustable), and locks/unlocks really easily. Plus, in case you carry too much stuff (guilty as charged) it has an additional pocket. I've had my first one for about five years and this year got a second one. Again, so good, I bought it all over again! 4. I don't really have the ability to just walk out my front door and run. To really get anywhere I WANT to run, I have to drive a few minutes. That means putting my sweaty self back in my car post run though. A couple of Christmases ago, my mom bought me this amazing wrap from Orange Mud. It has this easy to use clip system you can wrap around your waist or shoulders to change outside with some modesty. However, I use it for the zipper hood it creates, allowing you to put it over your car seat and protect said seat after a sweaty run. This thing is genius, so much better than a beach towel. Once again, I've bought a second one because I love it so much. 5. My last item isn't really just one thing. My first real race, the Disney Princess Half Marathon in 2009, I was convinced would be my last real race. I didn't have much money at the time, but splurged on a zip up and a tee shirt. I've kept these and my race shirt throughout the years (44 half marathons later) and have bought way more items from expos and races. And you know what? Despite any "in the moment" anguish, I've never regretted purchasing any of these items. They are wonderful reminders of the effort I've put in, what I've accomplished, a great time. I would buy those items all over again and will continue to buy more as I race my way through life! 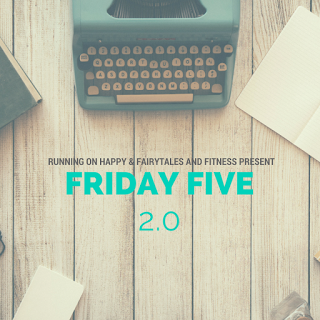 I'm linking up with the ladies at Fairytales and Fitness and Running on Happy for the Friday Five 2.0! What's the best race merchandise you decided to buy?